Shristi U. asks: Why did trains used to have cabooses but now don’t? 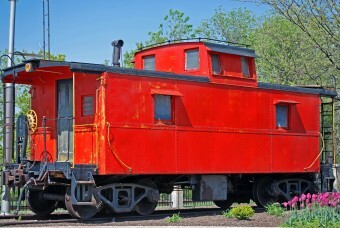 For well over a century, cabooses, the cute quintessentially red cars at the rear of trains in years past, served an integral function in train operations. The caboose was also an office for the conductor, who was responsible for managing the paperwork that accompanied each freight car. Often assigned to a particular man, the interiors of cabooses would be equipped as temporary living quarters, and even decorated with personal items like photos and curtains. Considered a home away from home, crews would sometimes sleep in the cabooses, and many conductors even prepared meals in them. 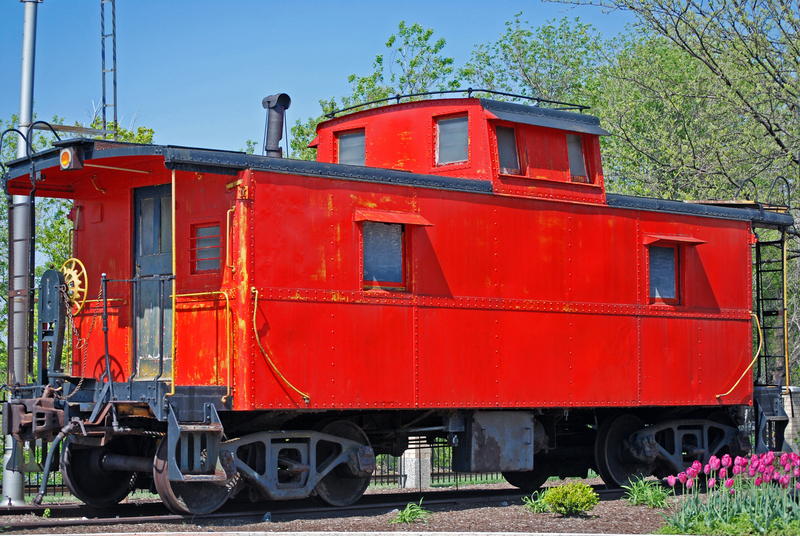 Legend has it, the cupola on top of the caboose was invented by a conductor who used to stack boxes up, sit on them, and look through a hole in the roof of his car. Regardless of its true origins, after about 1863, the cupola became a fixture on cabooses, and was used by all of the men to observe the train and look for signs of trouble (like overheated hotboxes). Also called a doghouse, bone breaker, hack, hearse, monkey cage, crumm, and snake wagon, the caboose, like the brakemen and flagmen who used them, became unnecessary as technology was developed that performed their jobs just as well, and for less money. Air brakes were developed in the 1880s, thus eliminating the need to turn a wheel. Electric-powered signals, triggered by track circuits, made signaling other trains automatic, and improvements in bearings made the problem of overheating a thing of the past. In addition, trains grew longer and the cars became so tall that viewing much of the train from a caboose became impossible. On top of that, computers eventually took over the paper-handling duties, so there was no need to store any such paperwork on board. Rather than a cheerful red car, today’s trains have small boxes that fit over their rear couplers to monitor operations. Tied into the train’s air brake line, these End of Train devices (EOTs) transmit brake pressure information to the engineer, who can also adjust the air brakes with the device. This is helpful for emergencies, since even if the train breaks in two, the brakes of the rear part can be activated. Five Deadliest Train Derailments in U.S. If a train comes apart the engineer does not have to apply the brakes. The train emergency brakes automatically apply. The brakes work because a drop in pressure causes the brakes to apply. If the hoses come apart, the train goes into emergency. Bought UP #25496 some years ago. Strangers ask me how it got to the top of my hill. I tell them the hill is named Ararat. In the UK they’re called guards’ vans. You could put your large luggage in them, and also things like bikes. Modern trains still have a guard’s compartment built into a normal carriage for the same purpose, though they’re smaller.